Samsung Galaxy A3 2017 and Galaxy A5 2017 will hit stores next month. Unlike its predecessors, the Galaxy A-series have been reportedly delayed by a few weeks and essentially into the next year. 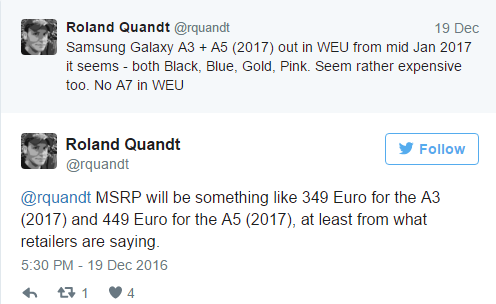 According to Roland Quandt, the A3 (2017) and A5 (2017) will hit the Western European Union in the 2nd-3rd week of January, 2017. Here's a quick look at the specs of the two phones that the rumor mill has come up with so far. 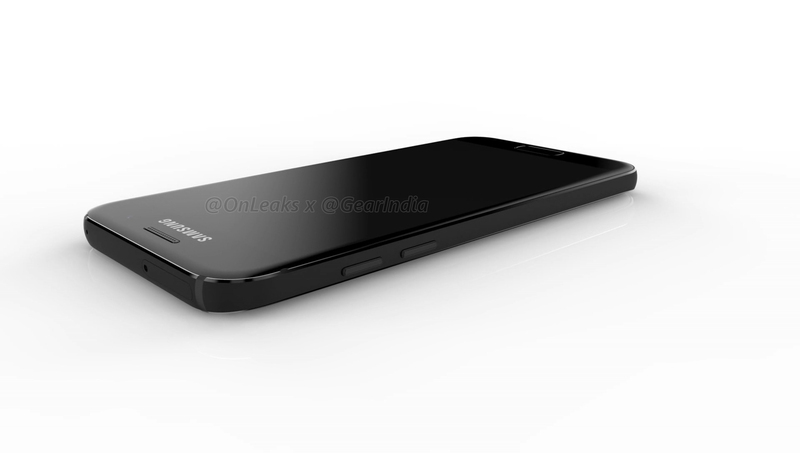 Take note that these are mostly speculated internals of the two smartphones, backed by a few leaks and plenty of rumors. Therefore, the final product that comes out from Samsung's arsenal may vary quite a bit from what you see here in terms of specifications.